I was absolutely delighted to receive a treasured signed copy of Battle for Rome from Suzanne at Head of Zeus. Battle for Rome is the third book in The Twilight of Empire series by Ian Ross but it was the first Roman historical novel that I have read, and I was so impressed that I jumped at the chance to submit some questions to the author. Many thanks to Suzanne for arranging the Q&A and to Ian for answering my questions. I do hope you enjoy reading the below Q&A with Ian Ross, and if you want to read the book, head over to Amazon to pick up a copy, and if you hurry you'll get it for the fantastic price of 99p for kindle. 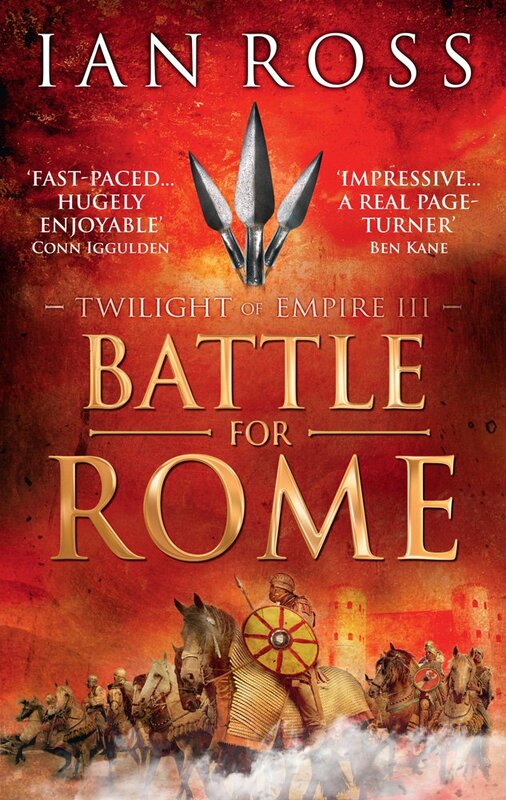 Q: Battle for Rome is your third book. What inspired you to write Roman historical fiction? A: I’ve always been drawn to the historical background – the idea of this vast empire which endured for centuries and dominated the world, then collapsed into the ruins we see around us today. I’d written a few novels before, but with these books I think I found my perfect combination of interests! Q: There are so many diverse characters in Battle for Rome. Who is your favourite character and why? Q: Battle for Rome is based on an actual historical event – the battle of Milvian Bridge in AD312. How long did it take you to research and write? A: I usually spend two months on active research and planning for each book, which in this case included a trip to Italy to follow the course of the military campaign and visit the site on the anniversary of the battle (mainly to check the weather!). But I’m drawing on many years of previous reading and research; Roman history is so very rich and complex, there’s always something new to discover. The writing itself took me four months. I always try to plan as meticulously as possible before I start, which in theory stops me running into difficulties halfway through. In practice, of course, things are seldom so easy! Q: If you had been alive during Roman times, where do you think you would have lived and what would your role have been? A: I would hope to have lived in Rome itself, and to have been a free citizen with sufficient wealth to live well. The population of the city under the empire were granted extraordinary benefits, and generally seem to have had a splendid time of it for many centuries. More likely, given my background, I would have ended up a slave or a semi-Romanised inhabitant of some rainy frontier province. But even being a slave in the city of Rome wasn’t always an entirely unpleasant fate. Q: I think Battle for Rome would make a great film or TV series. Who would you like to see playing the roles of Castus, Sabina and Constantine? A: Thanks! Actually this is difficult for me to answer, as I watch little TV and few films. I have a very clear picture of what all my characters look like, their mannerisms and attitudes, so it would be hard, I think, to try and find actors to fit them. In a way, I would prefer that each reader builds their own ideas of the characters, rather than having them imposed by a casting director. But it would be fascinating, nonetheless, to see how somebody else interpreted the roles. Q: Do you have a set number of books planned for the Twilight of Empire series? What's next after Battle for Rome and will we be reading more about Castus? A: There will be six books in all. I planned it that way from the beginning, and had the overall story mapped out before I began the first book. Each instalment I write tends to diverge a little further from my initial plan though, so while the general historical background remains the same, the characters often develop in ways I had not initially foreseen. But the story of Castus will certainly continue, yes. It’s strange, actually, that so many accounts of the Emperor Constantine’s career more or less end with the battle of Milvian Bridge in AD312; in fact he reigned for another quarter of a century, with plenty of drama, intrigue and violence along the way. So there’s a lot more adventure and action still to come. Q: It must be quite exhausting researching and writing an action-packed Roman epic. What do you like to do when you're not writing? A: It does tend to be pretty time consuming, yes! But there are perks aside from the writing itself – I’ll shortly be heading off on a research trip to Greece and Turkey, for example. Generally, I travel as much as I can; it’s the best fuel for the imagination, and I love immersing myself in foreign places and different cultures. But even a long walk in the woods can be beneficial. Q: I'm fortunate to live close to Hadrian's Wall and consider it one of my favourite places to visit. If you could visit one Roman historical landmark anywhere in the world, where would you go and why? A: Hadrian’s Wall’s a wonderful place, yes, and you’re fortunate indeed! I’ve actually never visited Hadrian’s Villa, near Rome, and always meant to, although I suspect it’s one of those places more appealing in theory than reality… Just recently I was reading Freya Stark’s book Rome on the Euphrates, and it rekindled a desire to visit the ancient sites of the eastern frontier, in modern Syria and Iraq. Sadly, of course, that won’t be possible for a very long time, and many of these places have already been cruelly vandalised. Even Leptis Magna in Libya, another place I’ve always wanted to go, is now under threat. It’s often sobering to be reminded, when writing of the violence of the distant past, of the ongoing violence of the present day. 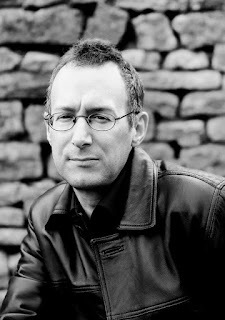 Find out more about Ian Ross on his website - make sure you check out the 'Journal' section for some spectacular photographs and interesting posts. Click here for my review of Battle for Rome.